October 2013—While much of the world has not heard of Allan Savory until recently, there are those who have been closely following his work and emulating it for decades. 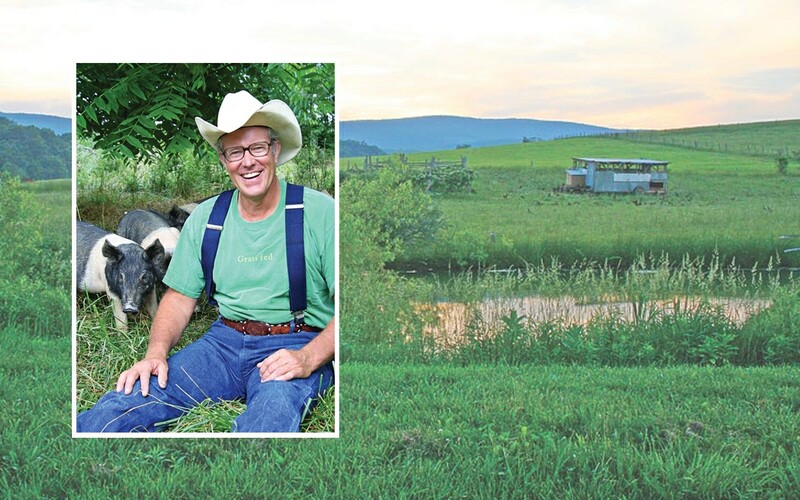 One such person is Joel Salatin—farmer, author, featured speaker, and the subject of several documentaries. Salatin and his Polyface Farm first came to prominence in 2006 as the centerpiece for Michael Pollan’s groundbreaking bestseller The Omnivore’s Dilemma, and since that time his sustainable grassland farming methods for raising livestock have served as a shining example of how to do it right. His profit per acre is many times that of his industrial-farming neighbors. I became aware of Allan Savory’s work in its earliest days. I found that it corroborated our own and added refinements we hadn’t put into practice yet. An icon in this movement, he deserves a huge debt of gratitude for persevering when most thought he was crazy and for inspiring a tsunami of ecological healers. I revere him as I would any genius upon whose shoulders I stand. Each ecological sweet spot yields multiple benefits, some of which aren’t discovered until many years later. In his lectures, Allan Savory usually refers to a Frenchman named André Voisin as the godfather of proper grazing management. It’s all about time: how long the animals are on a spot and how long the spot rests before the animals return. Voisin’s research did not take place in arid regions, but the principles he discovered and publicized in the early 1950s apply to all ecosystems. Although Voisin never realized the effect in dry areas, the effects are just as ecologically profound as in more temperate zones. My father read Voisin’s material in the early 1960s and began controlled grazing here at what is today Polyface Farm, prior to the infrastructure we have today that makes it easier, such as electric fencing and plastic water pipe. As with all great discoveries, numerous people were working on the system in different parts of the world simultaneously. Our family, like other lunatic-fringe devotees, was experimenting with tight time-controlled grazing and ecological monitoring at the same time Savory began to popularize his permutation into Holistic Resource Management. We became better grass farmers as a result of Savory’s tireless efforts. Meanwhile, we’ve seen our organic matter go from an average of 1 percent to about 8 percent. We’ve seen water runoff reduced, earthworm castings increase exponentially, and animal carrying capacity jump from 20 cows to 120 cows on the same acreage. The beauty of this paradigm is that it does not put ecology and economy in competition; it puts them in symbiosis. And that’s pretty awesome.